Demolish the possibility of motion blur and reach the peak of gaming potential with a refresh rate revving up to 144Hz1. Unlock the potential of Predator hardware with a custom-engineered dual-fan cooling with the all-metal AeroBlade™ 3D Fan1. The ultrathin (0.1mm) all-metal AeroBlade™ 3D Fan1 offers advanced aerodynamics and superior airflow to keep the system cool and clean. 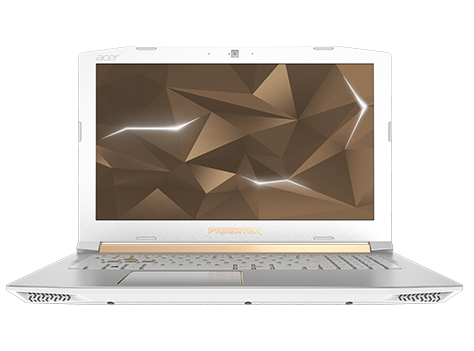 Just in case anyone forgets that this is a gaming laptop, the Predator symbol is stamped on the cover – cut to diamond-edged perfection. Take control, overclock1 and customize your gaming experience from one place with PredatorSense™.